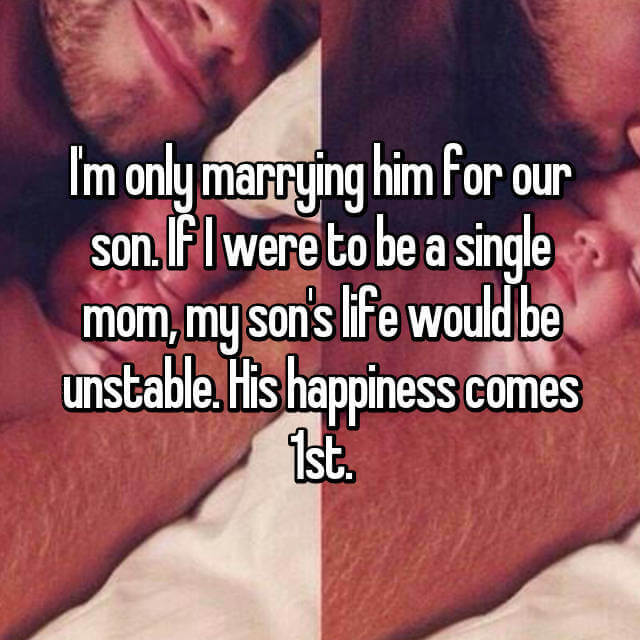 Secret-sharing site Whisper knows a lot! People from all over the world are sharing their deepest secrets at this place anonymously, probably searching for some relief. I would recommend a good friend, but it seems that there is a shortage of that kind today so people naturaly turn to the internet. 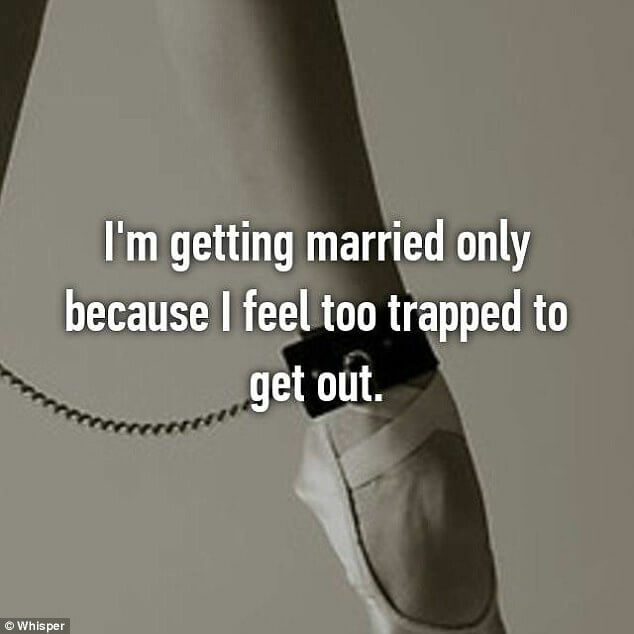 In the gallery below is a collection of confessions by brides to be on the matter of why i got married and why are they taking this big step in life and what are their real motives to do so. 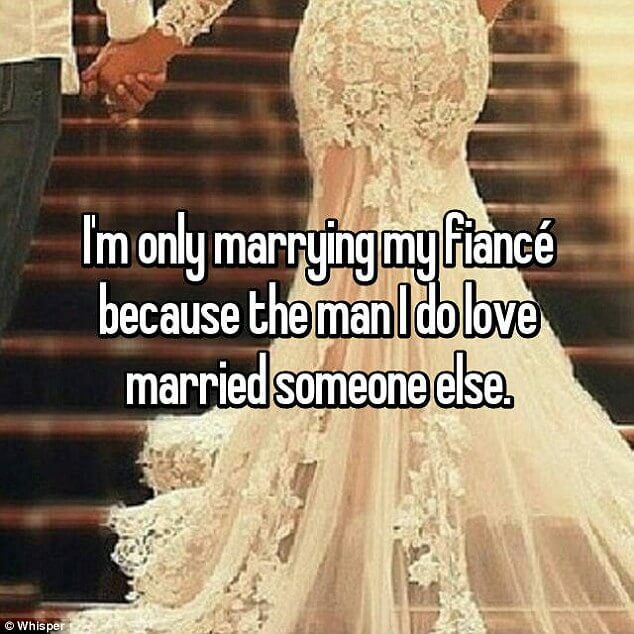 Romance is the only thing leading to the altar… in fairytales. 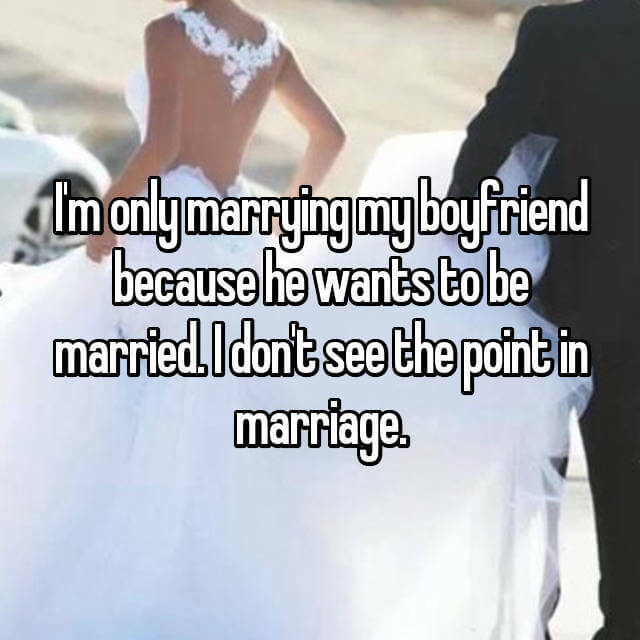 In real life, motives can be numerous apparently and some of them have nothing to do with love. 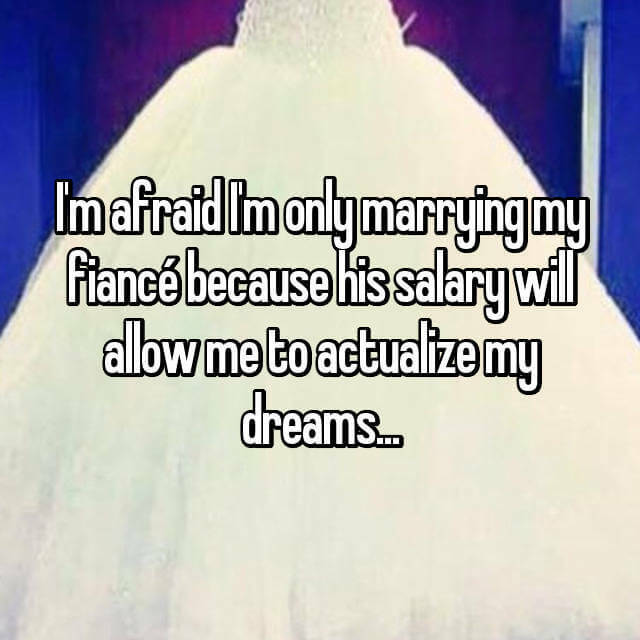 “I’m only marrying him for his money…”, “I’m getting married because I’m tired of dating” are some of the confessions of anonymous female users of Whisper. 2. 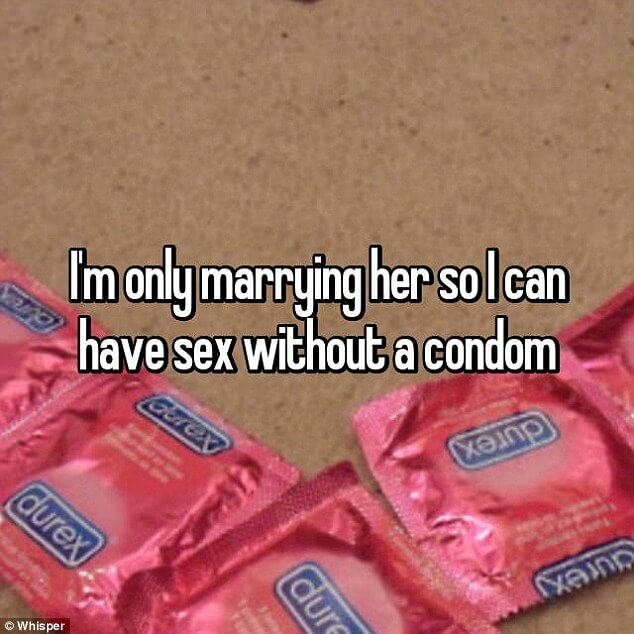 What are the chances for a happy marriage? 3. 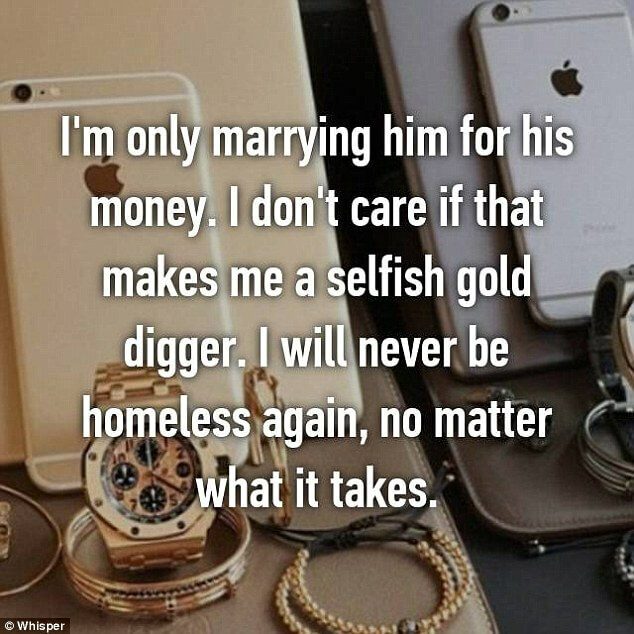 The man she loves is taken. 4. 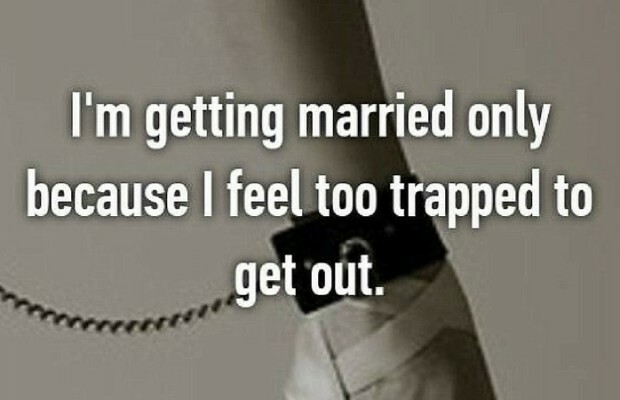 This bride to be is feeling trapped. 5. 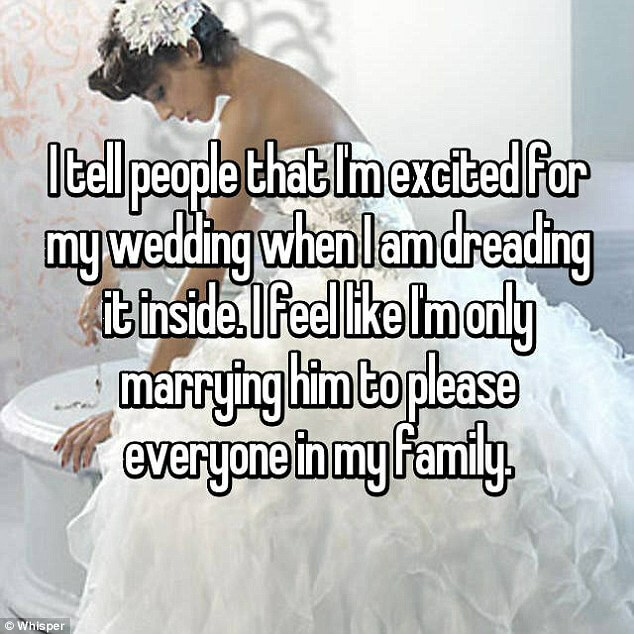 This woman is doing it to please her family. 6. Okay, this is some kiddo or a joke. 7. 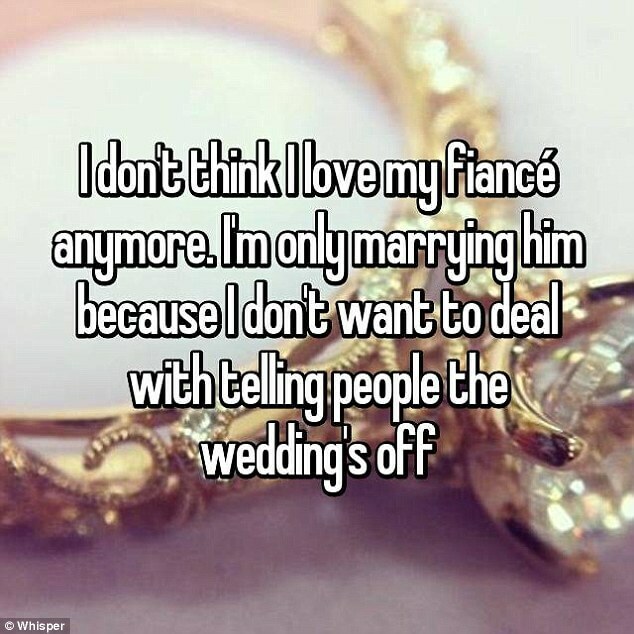 Cancelling the wedding is out of the question. 10. 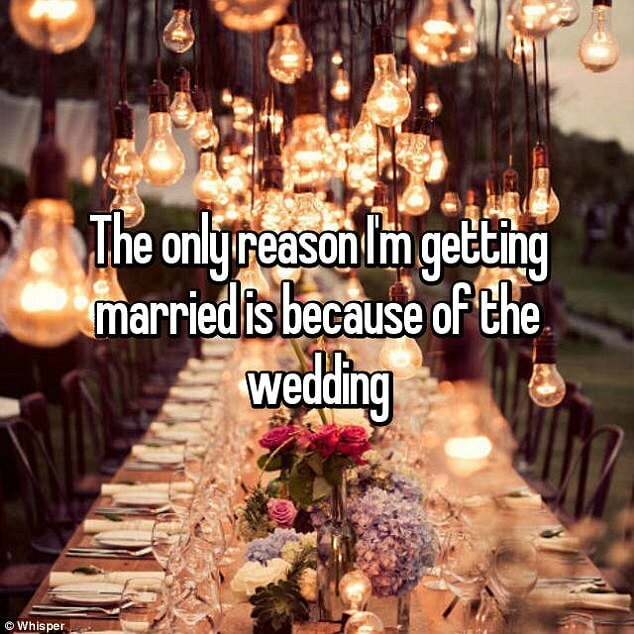 Wedding as a life goal. 11. 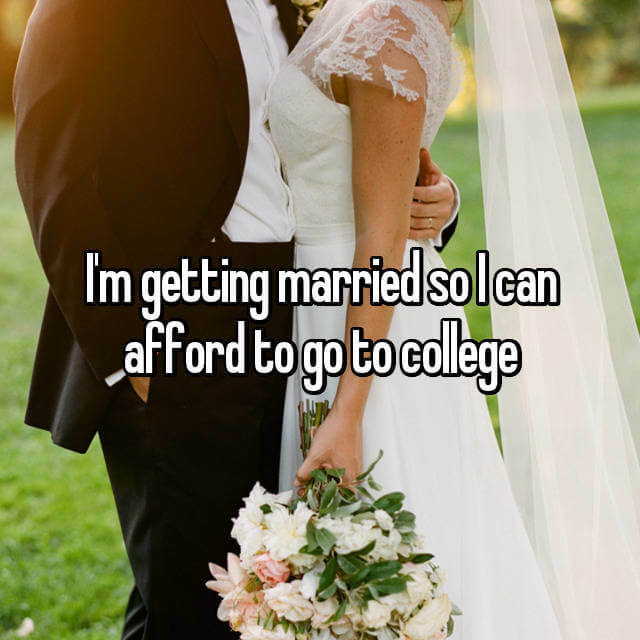 Money seems to be the most frequent reason to get married. 12. Sorry for her loss. 13. 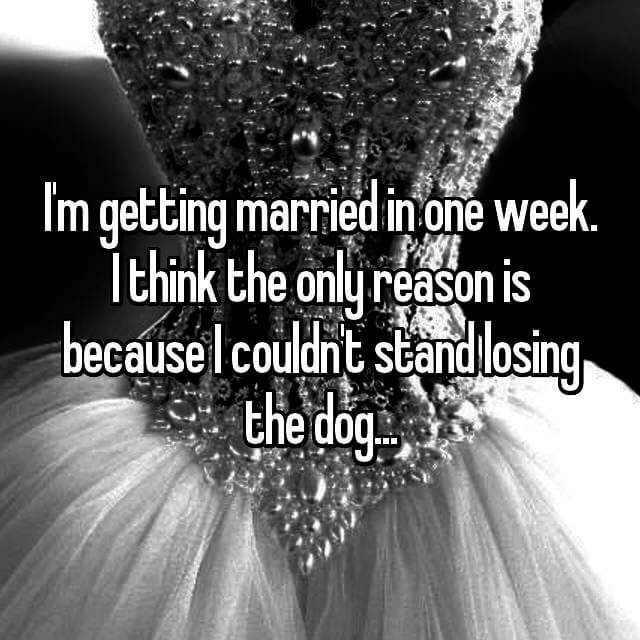 This one is actually a proper reason. She wants to be with him, nothing else matters. 14. 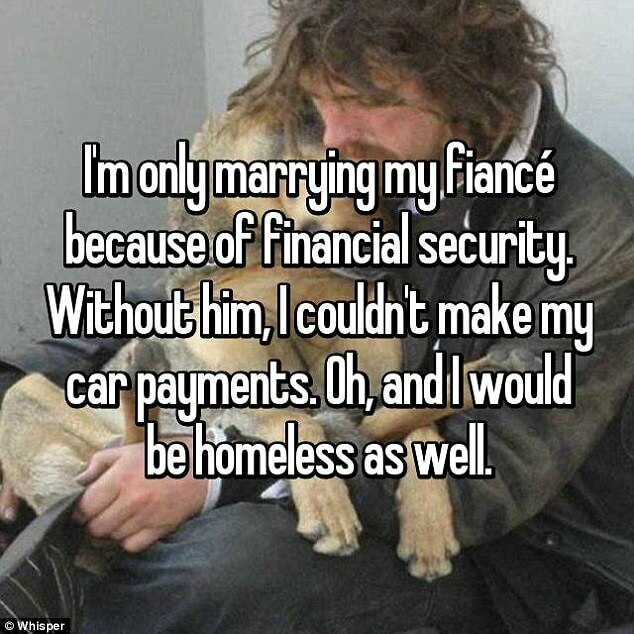 Once again financial issues. 15. 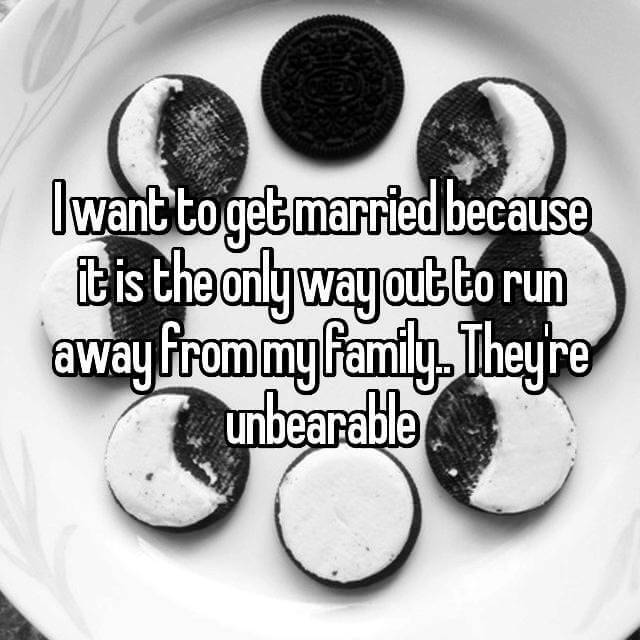 Running away from family and rushing into marriage. 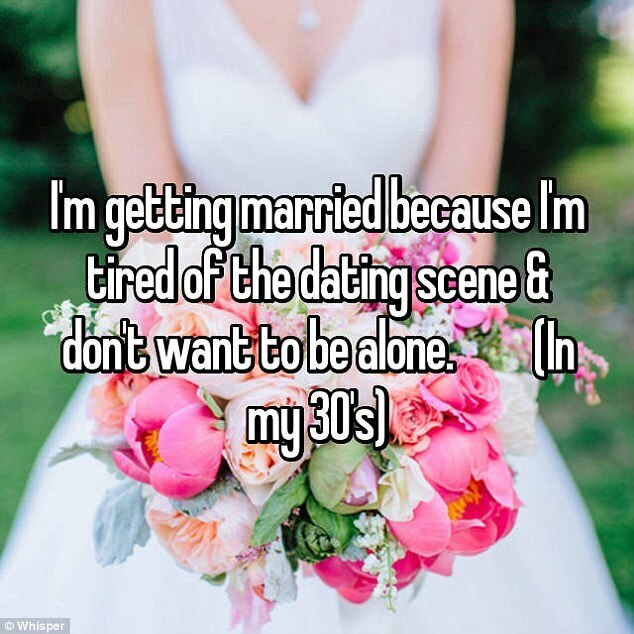 So, romance is definitely not the only reason for stepping into the marriage: finance, children, fear of being alone etc are making the list of reasons to get married which is not short it seems. What do you think about it?